The original QSE All-Purpose Chair with reclining back, our best selling chair for over ten years! A classic look with molded urethane arms. 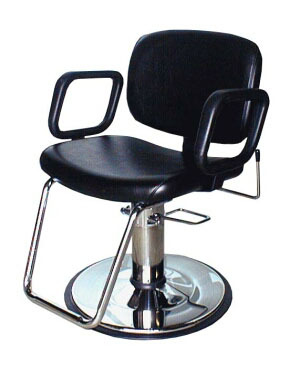 Standard hydraulic base and with polished chrome base plate. * 21.5" between the arms. * Standard 4.5" Hydraulic Pump made in U.S.A. 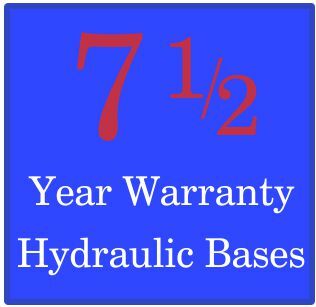 Chair and Pump all made in U.S.A.
7.5 YEARS: All USA-made foot-operated hydraulic bases are guaranteed for seven and one-half years from the date of purchase. 1 YEAR: All remaining components, unless noted otherwise, are guaranteed for a period of one year from the date of purchase.